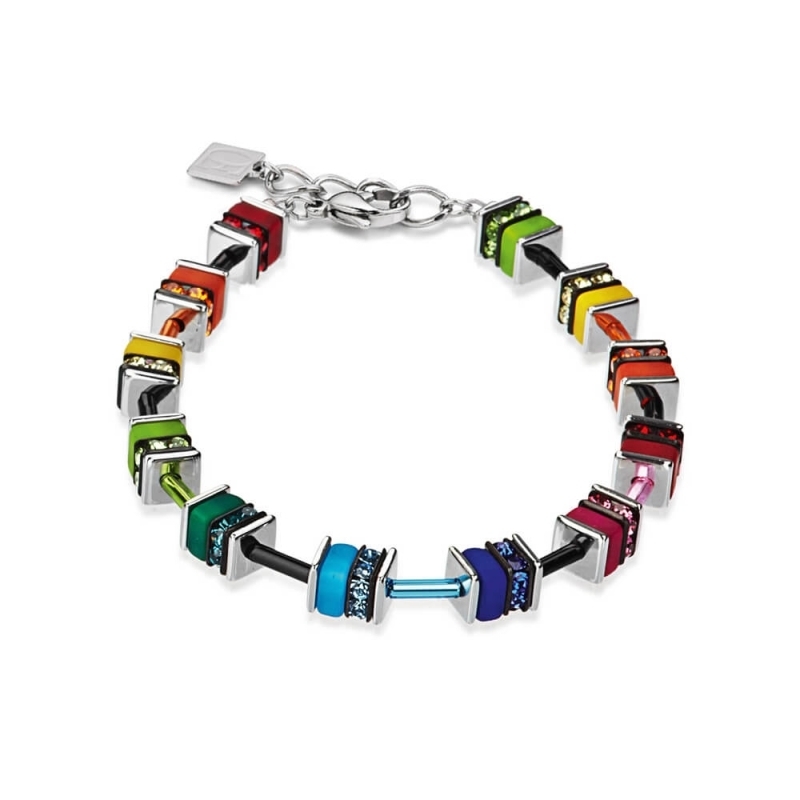 Coeur De Lion Geo Cube Multicolour Swarovski® Crystal Bracelet 4409301500. Rhinestone rondelles with Swarovski® Crystals combined with stainless steel, polaris and fine glass cylinders. Clasp made of stainless steel 316L.